Important Update for November 17, 2017! 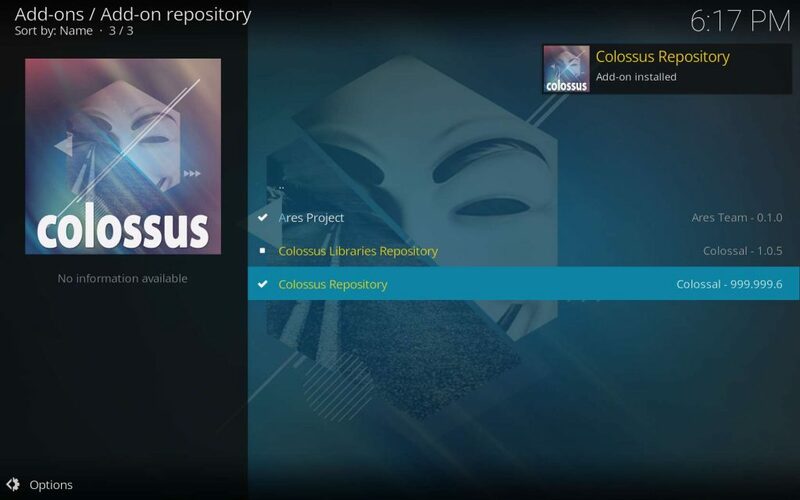 The Colossus Repository has folded up shop due to a massive DMCA notice hand-out that happened over the past 48 hours. Check the front page of KFire TV for up-to-date news and relevant info on TV addons and repositories that are still available. If you are looking for the Covenant addon, which made its home in Colossus, it has moved temporarily into the XvBMC REPOsitory. Follow this guide to install Colossus, the best available TV Addons replacement Kodi repository for your Firestick. 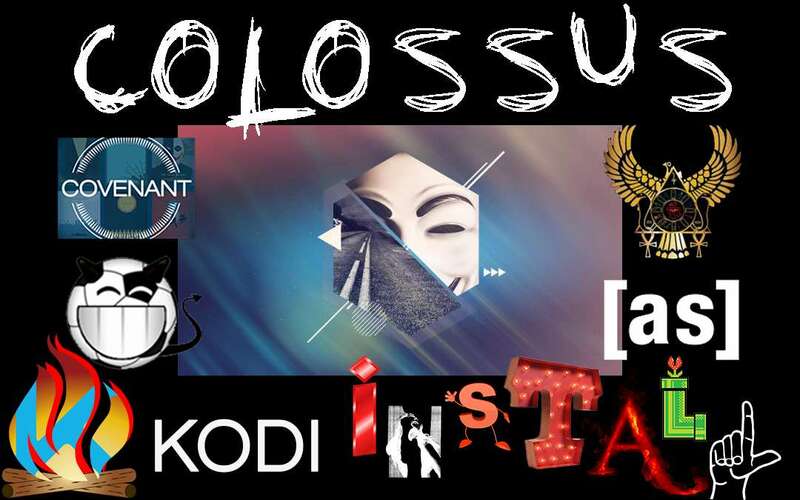 Colossus is chock full of the best and brightest new stars in the third party add-on line-up for Kodi. 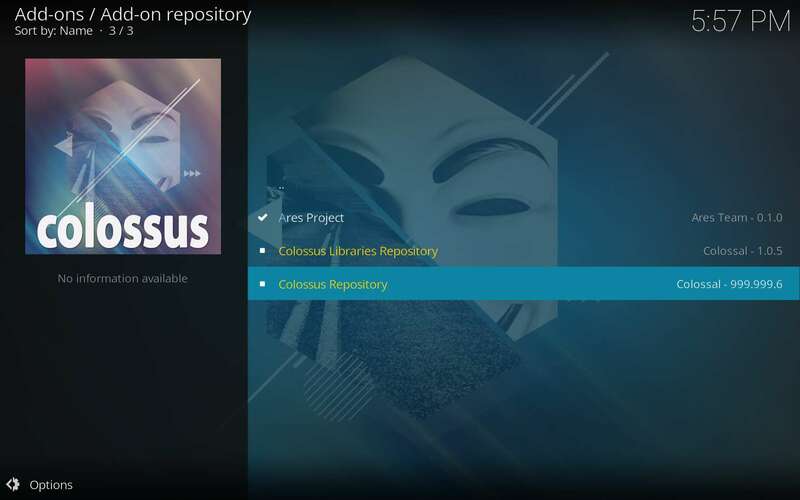 The Colossus repository houses both the Bennu and Covenant Kodi add-ons. Rebranded, Phoenix and Exodus became Bennu and Covenant. Many people still attempt to install these immensely popular add-ons based upon out-dated information. 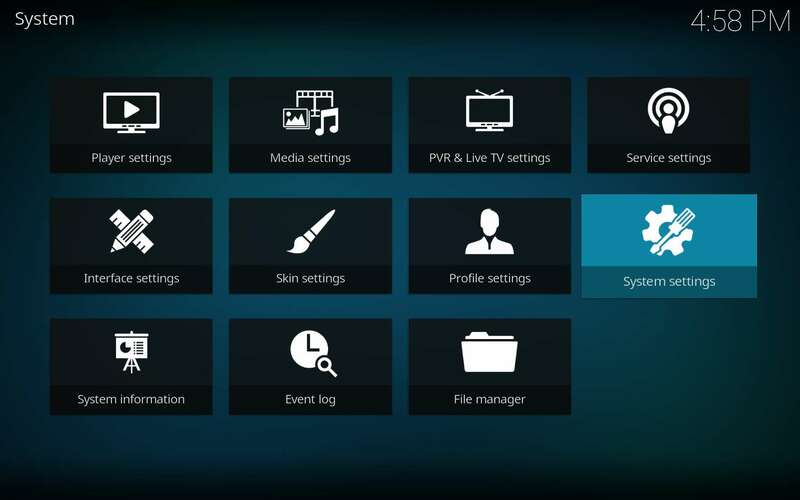 With the Kodi Colossus repo, you may yet have what you want on your Firestick. It may be known by another name, though it still smells as sweet. We’ve mentioned Bennu in a few articles lately. This is the revamped and renamed Phoenix in a different skin. The late, great favorite Kodi video addon Phoenix went down along with its parent repo TV Addons. 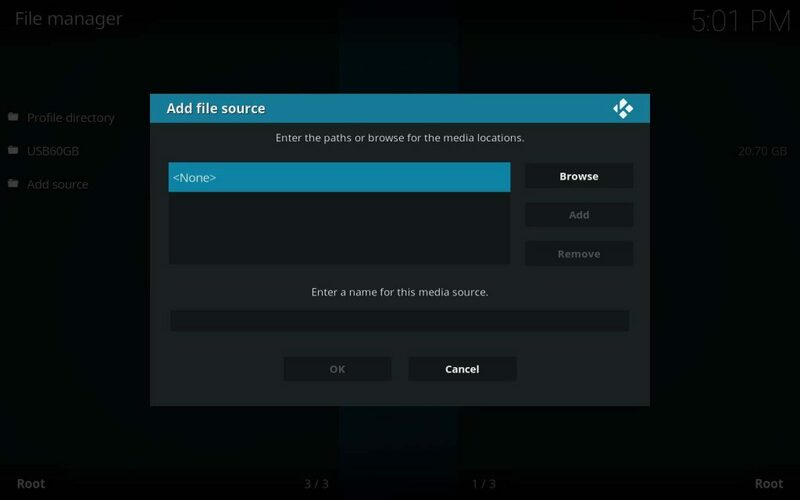 Also included within the TVAddons repo was the late Exodus, another favorite of Kodi users worldwide. The Exodus code base has been updated and redubbed Covenant. Both Bennu and Covenant make their homes within the Colossus repository. 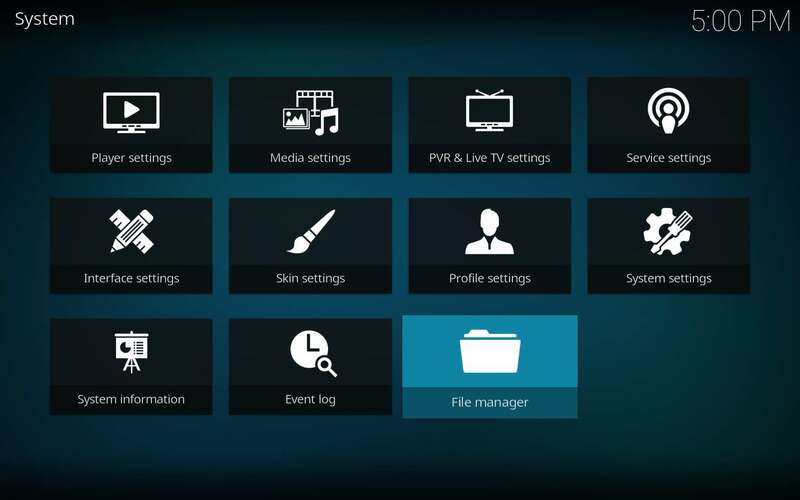 Most of the add-ons available in the Kodi Colossus repository serve pirated streams. This can make using these third party add-ons a bit of a gamble without the protection of a VPN. 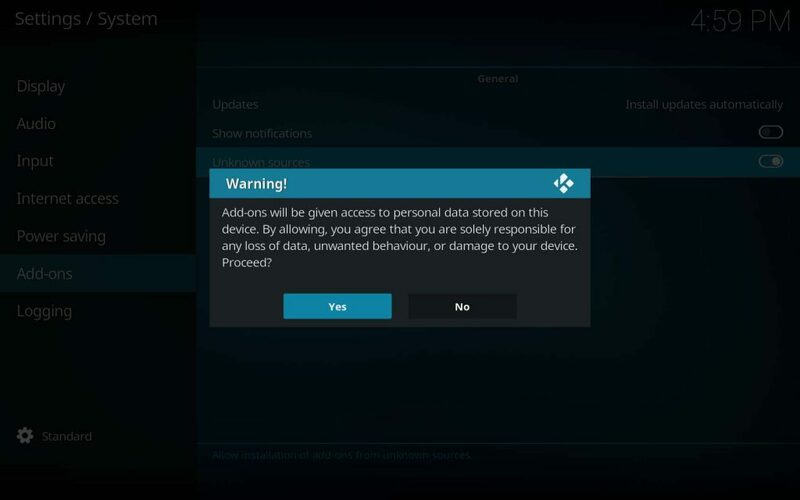 The use of any Kodi add-ons can be a serious security risk. This is especially true if they’re unauthorized by the XBMC Foundation or Kodi Project. 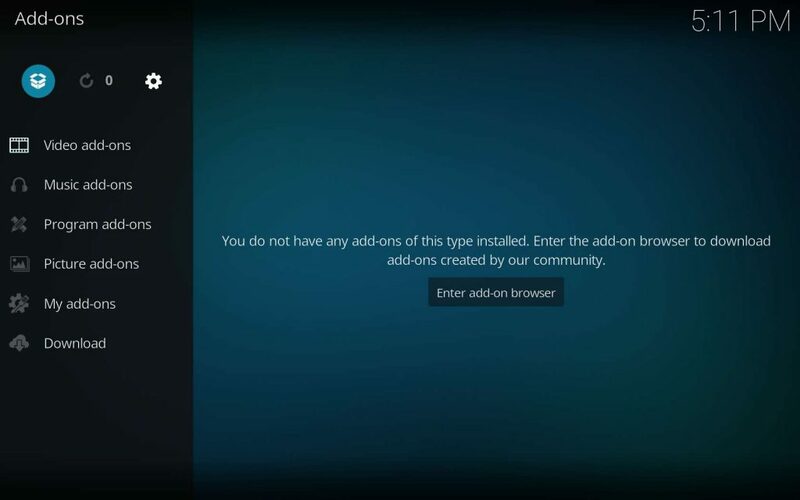 These third party add-ons lack the strict code validation of XBMC Foundation authorized Kodi add-ons. These highly sought after unofficial add-ons typically offer primarily pirated content. TVAddons was taken down due to this fact, and the litigation continues. Third party add-ons are also quite a bit more vulnerable to corruption and hacking than official add-ons. 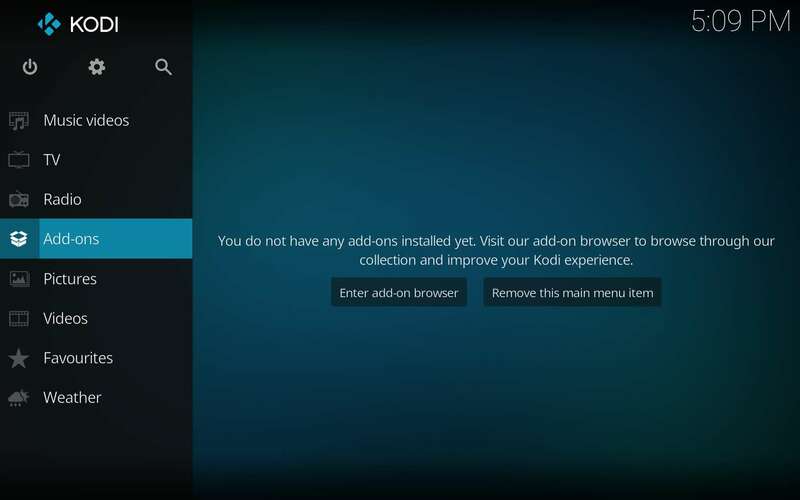 Before you use any Kodi addon, take precautions. Set up and use a secure VPN to remain anonymous and protect your data. This is extremely important. We see over 20,000 unique visitors ever day on this site. As a result, we hear a lot of horror stories from people not using a VPN. These links also get you 60% off of the very best VPN for Kodi users – IPVanish! 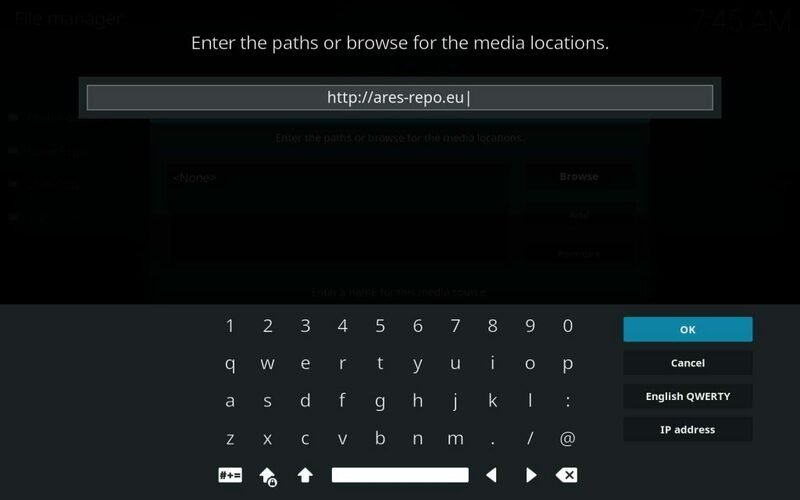 If you’ve installed Kodi repositories and plug-ins onto your Firestick before, then you probably only need the URL. 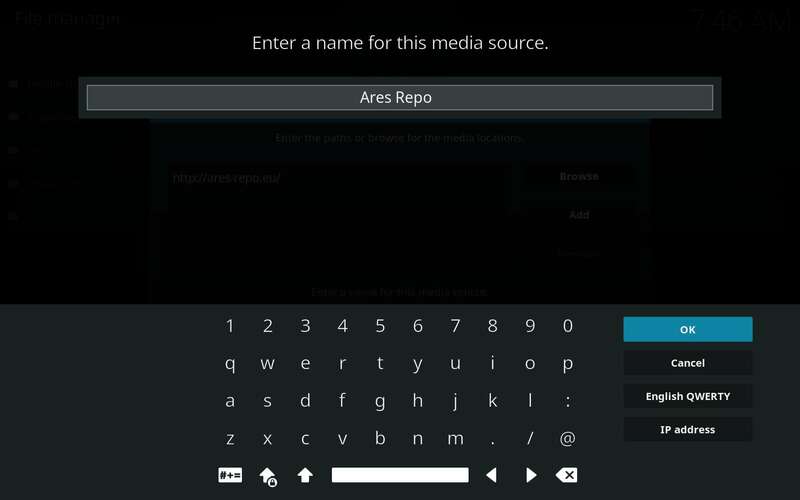 You’ll find the Kodi Colossus repository located within the Ares repository at http://ares-repo.eu. 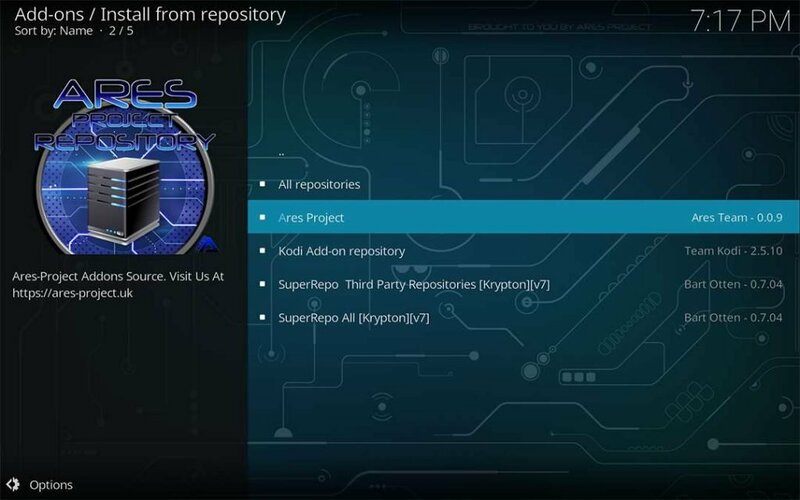 You can also install both the Ares and Colossus repositories from within the SuperRepo repository located at http://srp.nu. Maybe you’ve experience installing items into Kodi from downloaded zip files. 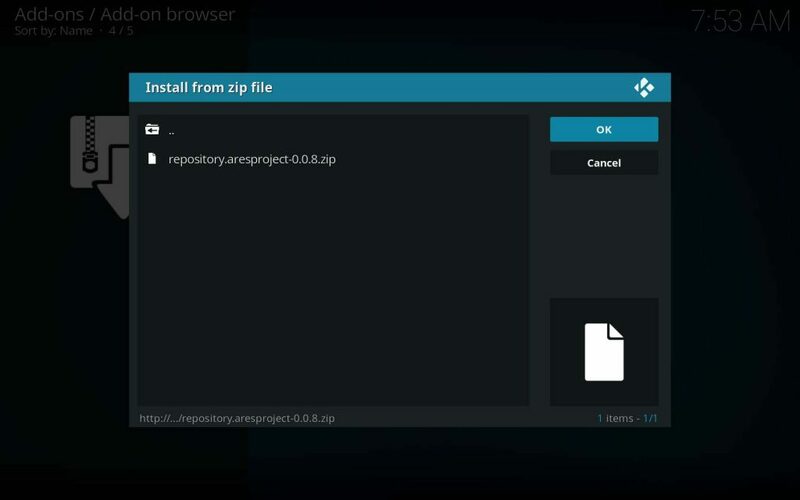 If so, you can go directly to the Kodi Colossus repository’s home source at https://github.com/Colossal1/repository.colossus or just download the repo zip file found at https://github.com/Colossal1/repository.colossus/archive/master.zip. If you haven’t already, allow Kodi to install from unknown sources. The Ares repository is home to some of the best Kodi add-ons to date. 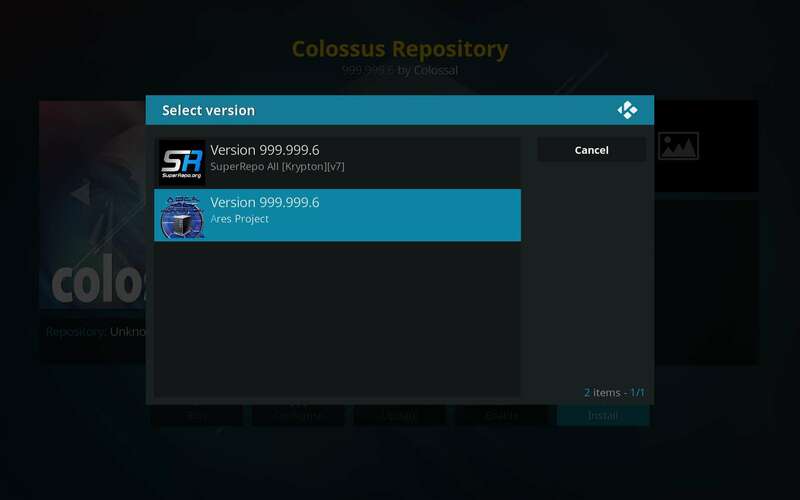 It also houses the Colossus repository, making it a super or mega repo. 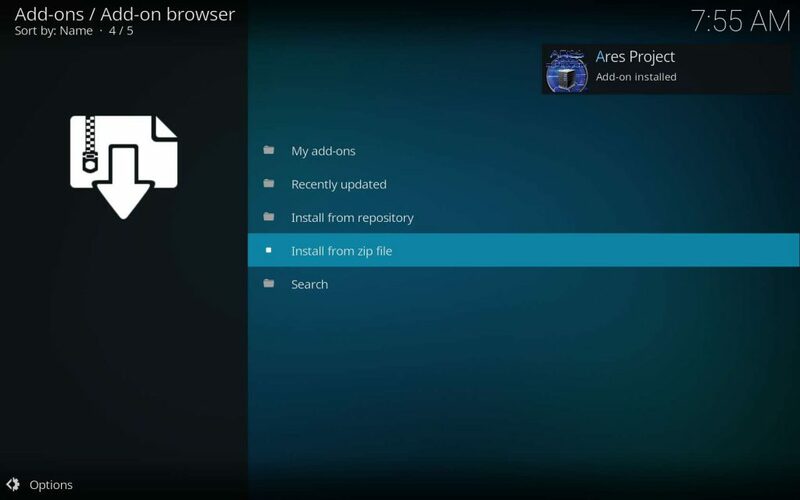 Follow along as we install it, then check out some tutorials we’ve written lately to install more great add-ons from the Ares Repo. Check that your input was correctly typed, then choose OK a last time… for now. 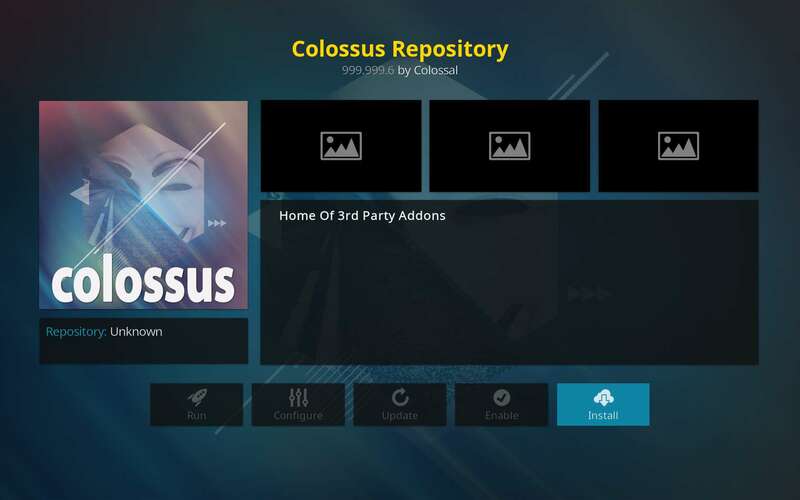 Now, we install the late TV Addons repo’s timely replacement, the Colossus Kodi repository. If you’ve been following this step-by-step guide up to this point, you are in the Add-on browser. If you already had the Ares Repo installed and skipped the above section, go back and note step 9 to get where you need to be if necessary. Choose Install from repository for this repository installation. Seems odd, doesn’t it? Activate Install to the bottom right. In the event of a Select Version dialog, choose the Ares Project. Their updates will be the most up to date. The Colossus repo has been installed successfully once you see the popup dialog. The Colossus repo grows rapidly in popularity every day. Containing the amazing add-ons Bennu and Covenant—even SportsDevil and Adult Swim—makes Colossus a must-have Kodi repo. Be careful though, as this makes Colossus a top target as well. That is what happened with the ill fated TV Addons third party repo before it was shut down. Please make sure you are protecting yourself with a highly secure VPN when viewing the content in the Colossus repo. Enjoy! 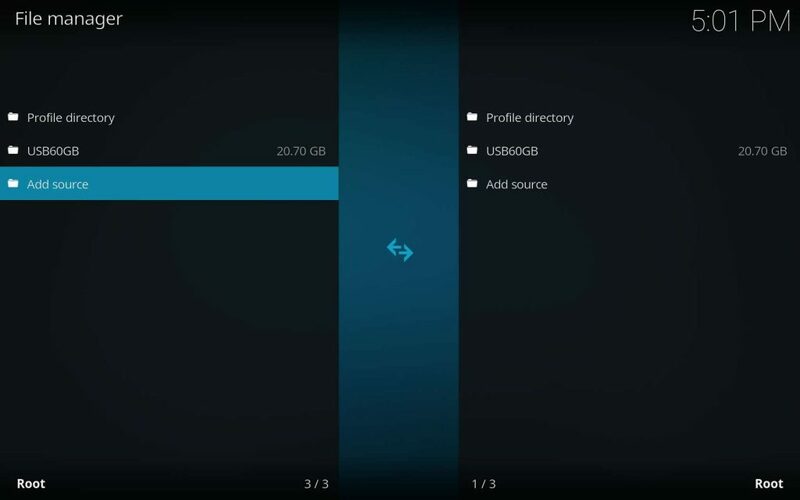 With TVAddons gone, install the Kodi Colossus repository! Phoenix and Exodus replacements Bennu and Covenant and much more for your Kodi Firestick! Hey James, we’ve a few addon installation tutorials written up for the Colossus repo lately: Bennu, Covenant and [adult swim] so far. 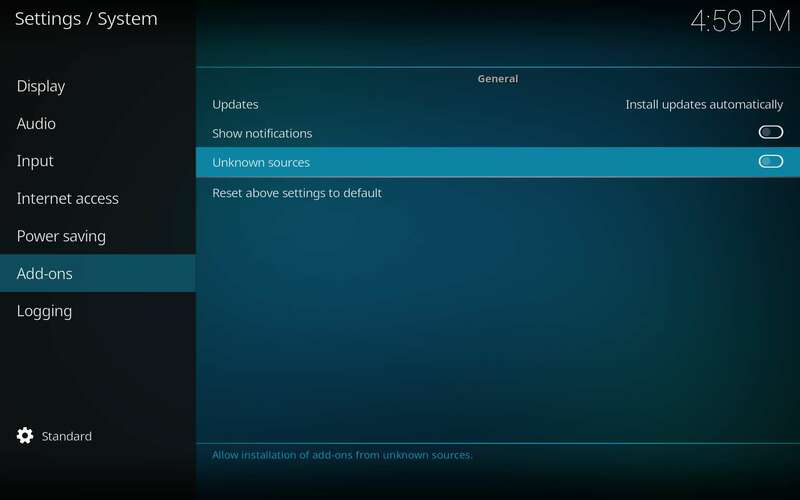 Once you’ve installed one or two, you should get the hang of how it works and be able to install addons from most repositories with no assistance. Enjoy! Hey Chris, sorry about that. 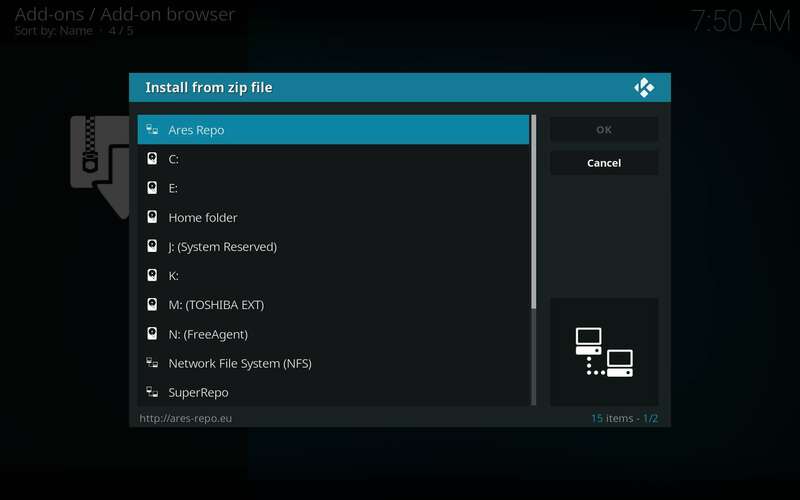 There was a massive action taken against many Kodi third-party developers and repository keepers this past week. 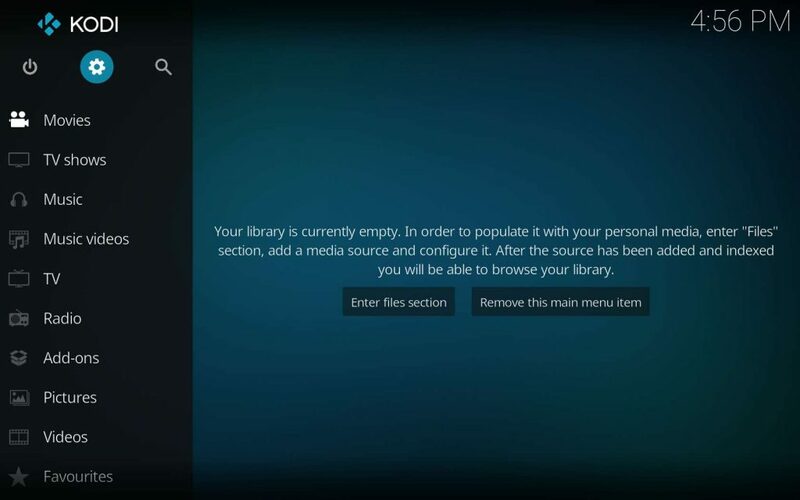 You’ll find an article about it at Hand-Delivered DMCA Notices Shutting Down Top Kodi Addons. The Colossus repository is one to have fallen, which broke many of our tutorials. I’ll update this article in just a moment. There are many other repositories taking up the slack, though. As always, use a [ipv chan="jh"]secure VPN[/ipv] and check the front page of the KFire TV site for the latest and greatest. Enjoy!